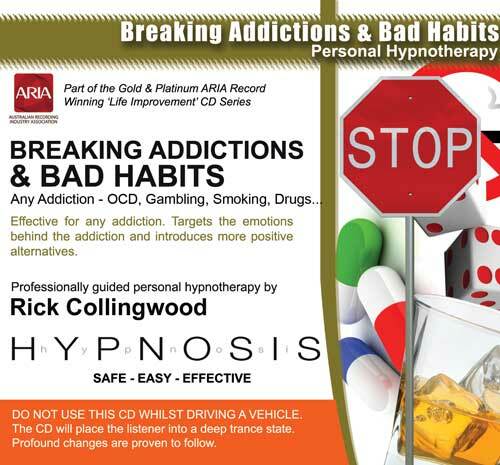 This self hypnosis program is professionally designed to give you the power to easily and comfortably break any addiction, bad habit or other obsessive compulsive disorder. It will allow you to regain control any emotions that cause the addiction and replace these with more positive patterns. A key point of this CD/MP3 is that it will help take you back to a time when you did not have an addiction or a bad habit. By reminding the mind of what it felt like before you were addicted to something is vital to effective recovery because it helps make the end result more clearly established. There is a life for you beyond addiction. Regain control of your life and start moving forward on your own accord free from the control of addiction.